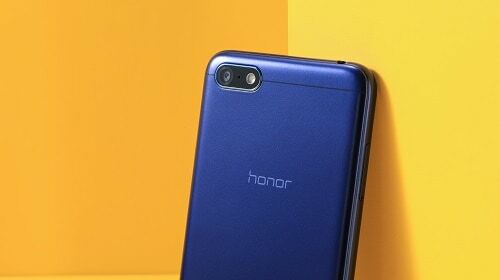 Honor launched its most feature packed, affordable smartphone Honor 7S at INR 6999 through a creative launch video, posted on the brand’s YouTube page. The Honor 7S was launched by Mr. P Sanjeev, Vice President Sales, Huawei India-Consumer Business Group & Mr. Ajay Veer Yadav, Vice President, Mobiles and Large Appliances, Flipkart. It will be exclusively available on Flipkart starting 14th September 2018 in three colour variants Gold, Blue and Black. Honor 7S features a 13.84cm HD+ 18:9 FullView Display for a better viewing experience. A bigger view with a comfort grip, makes the Honor 7S an easy to use single hand device. It features smart face unlock which detects the user’s face instantly, whether you hold your phone in landscape, portrait or at any angle. The all-new Honor 7S is equipped with a fast focusing 13MP HD camera with PDAF technology that helps you capture sharp and bright photos. Itcomes with 5MP Front Camera that sports LED Selfie Light which gives better photo and clear shots in low light situation. The Honor 7S is powered by the Quad core A53 4*1.5 GHz processor, which combined with 2GB RAM and 16GB ROM, ensures smooth operation and multitasking. The internal memory of 16GB is expandable up to 256GB offering more space for multimedia content. It is backed by a high capacity 3020mAh large battery, Android Oreo 8.0 and enhanced power management ensuring long-lasting battery life. Honor Launches the Honor 7S at INR 6999 0 out of 5 based on 0 ratings. 0 user reviews.